It’s a bold, spirited, diverse and romantic blend of all that’s great in Latin music, with an added twist of Mediterranean magic! Their style of nylon guitar-driven music is romantic, soulful, and passionate, delivered with an energetic and emotionally-impacting live performance. 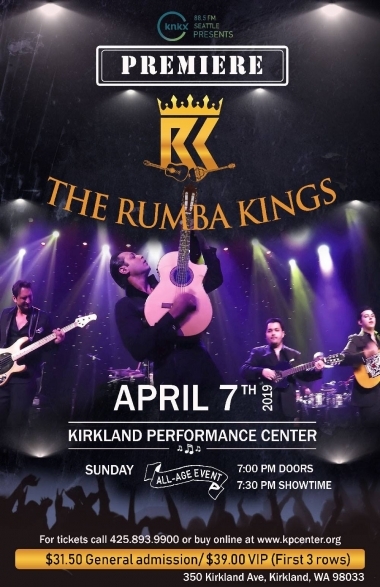 The Rumba Kings were formed in Seattle in June 2015 by producer/musician, Johnny Bacolas, a native of Seattle, WA, and guitarist/bouzouki player George Stevens, a native of Orange County, CA. Guitarist, Teddy Adams; guitarist, Vinnie Uanno; keyboardist Bahaa Sadak; drummer Andrey Zasypkin; and percussionist Tor Dietrichson perform live with the group, as well as perform on several of the band’s recordings. 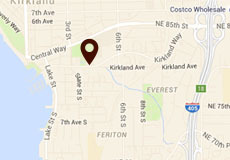 As of February 2018, the band is on regular rotation on Seattle’s top Jazz station KNKX 88.5 FM. The band’s music is available on iTunes and Amazon.